No one would say that building a house is easy. It is not. It is rather hard. I tell from experience. Several months of experience. Last month was especially difficult for us with various inspections and a gazillion “last minute” things that had to be done. We even had to go to Pennsylvania for one weekend and then come back. The only thing that kept me sane was knitting. In April I decided to make some clothes that I really needed for a change. The bare necessities, so to speak. I couldn't forget about my worries but I could make something useful and wearable. 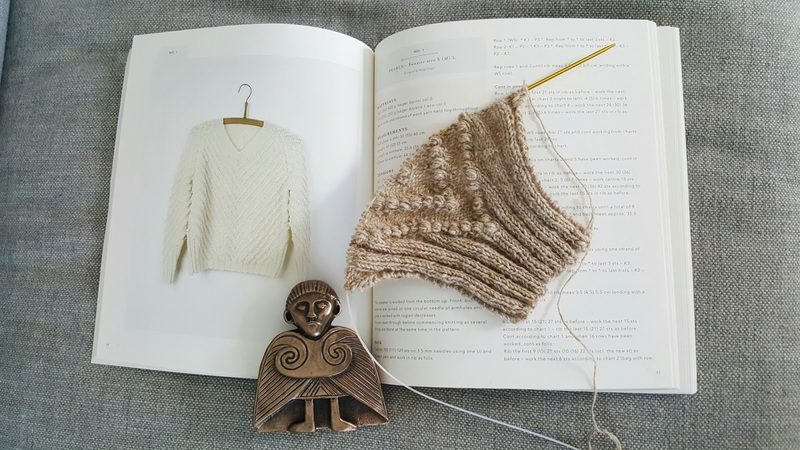 First, I chose Loving by Kim Hargreaves (again, quite a bit of time was spent contemplating the pattern’s name – why “-ing”? it looks weird to me but maybe I am just bad at English grammar?) inspired by these finished versions of it on Ravelry. It seemed to be simple (only garter stitch with minimal shaping) project that you can take anywhere and that doesn’t require a total concentration. Plus, I had 6 balls of Rowan Felted Tweed DK in my favorite color – clay. If my calculations were correct, it was just enough to make a size S sweater. And I am loving the result (maybe this is the reason for the pattern’s name – if you make it you are going to be loving it?). It is very well fitting and goes with anything. And I was able to take it with me everywhere – to the knitting club, to Philadelphia and back. The whole process of making it went so quickly that I didn’t even tire of it. 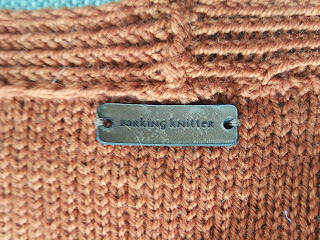 As soon as the sweater was finished I was ready to start another one in cotton – for Florida. But I had to stop myself because of this book. Have you seen the patterns from this book? When I saw them for the first time I finally understood what was missing in my closet. Actually, several garments were missing, and I absolutely needed them right this second. They are all simple but very stylish and elegant, extremely wearable and useful, and it is really hard to pick the first one to make. Yet, I’ve been making sweaters nonstop for such a long time that a cardigan seemed in order. But first a couple of words about the yarn that I wanted to use. Normally, I don’t buy artisanal skein-dyed yarn because: 1) it is too easy to miscalculate the amount needed for a pattern (especially, when you keep changing this pattern in mind) and impossible to buy more later; 2) I don’t like the way this yarn looks in a finished garment – too busy and too handmade at the same time (normally, “handmade” has a positive connotation for me, but sometimes it is just a synonym for “amateurish” or “sloppy”). Still, I grabbed the yarn and took it to Florida with me. I had 900 yards of this beautiful vibrant yarn and I could see myself wearing it as a cardigan. Yet, even a person of my size cannot make a whole cardigan with only 900 yards of sport weight yarn. Later, I found a Raveler that had one skein of the same yarn in the same color and who agreed to sell it to me. Unfortunately, the color of her skein was slightly different from my first five. So, if I wanted to use this yarn for a cardigan, I had to figure out how to incorporate this one different ball without it being too noticeable. Since I never worked with this yarn before, I made a big swatch, washed and blocked it to see how it behaves after washing. The result was amazing – the yarn “grew” and became more voluminous. I thought that Ebony would be the right pattern for this yarn because its design is unpretentious and restrained: a good way to showcase the yarn, its color and structure. Plus, while making the body (back and both fronts are knitted simultaneously) I could alternate threads from two different balls thus incorporating my extra ball of slightly different color. 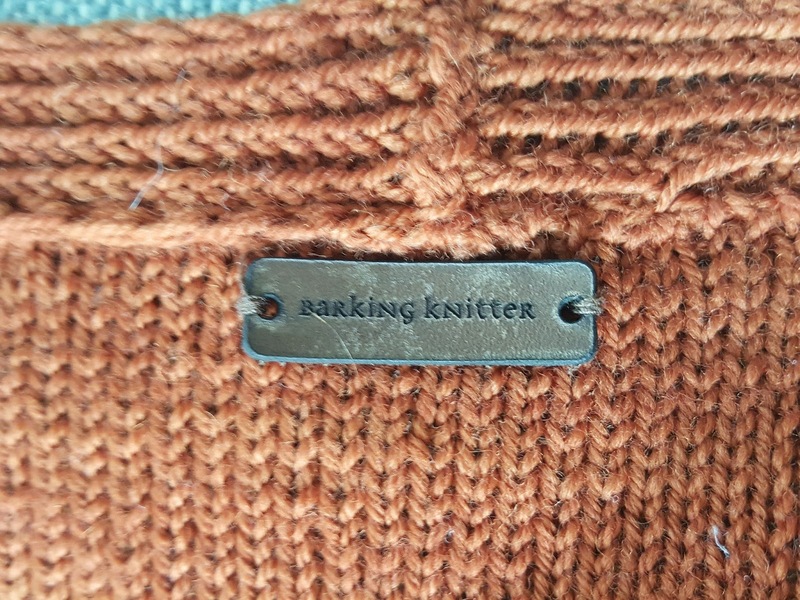 This little gem of a cardigan looks simple but there are many interesting details that keep your work interesting and result in an excellent fit. It’s all about the fit, this one! The directions for the pattern are clear even though some things are kind of implied and left untold. For example, eventually I figured out that all selvedge stitches are supposed to be knit on both sides all the time, but I was already finishing the right front and it was too late to change anything. So keep it mind, if you haven’t started yet. Also I ended up having enough space for only 5 buttonholes on the front edge (the pattern tells you to make 6) but I don’t think that it is a big deal. And I forgot to make eyelet row on my first sleeve (note to myself – do not start a new part of a garment while chatting with friends!) so I just omitted it on the second sleeve. Sorry, no eyelets on sleeves for me this time. When I was trying it on while working on it the cardigan seemed to be tiny and at some point I was a little bit worried if I was making the right size. But that was the only size that I could possibly make with this amount of yarn so I soldiered on hoping for the best. I was right because in the end it grew after washing and became the most adorable cardigan that I ever made. This pattern is what Kim Hargreaves usually calls “understated” but its color is enough to make a statement. It is short, not too warm, looks great with skirts and dresses, and goes with all my clothes (that are mostly black, or grey, or white). The yarn is absolutely one of my favorite now. I would love to make more things from it for sure. One more thing. While traveling to Philadelphia and back I was wearing (again!) my Bo sweater. Making it was such a drag and I wrote all about it but I never wrote how often I wear this garment and how useful it is. And I felt bad about it and thought that this pattern needs some additional “promotion” because, if made from the right yarn, it is incredibly flattering, practical, and comfortable, especially while traveling. And when we returned to Florida, I asked my husband to take more pictures of me wearing it and put them on Instagram and on my pattern page on Ravelry. Check it out. Meanwhile I started another project from Helga Isager’sbook. It is called Pearls. I am using the same Rowan fine tweed that I used for my Christmas sweater but in different color. I figured that all these bubbles can hide the yarn’s irregularities and imperfections. As a result now I am leaving not in one but with many tiny bubbles. Can’t wait to see the end result. Hopefully, in Pennsylvania, where I am flying next week, I’ll have as much time for knitting as I had in Florida.